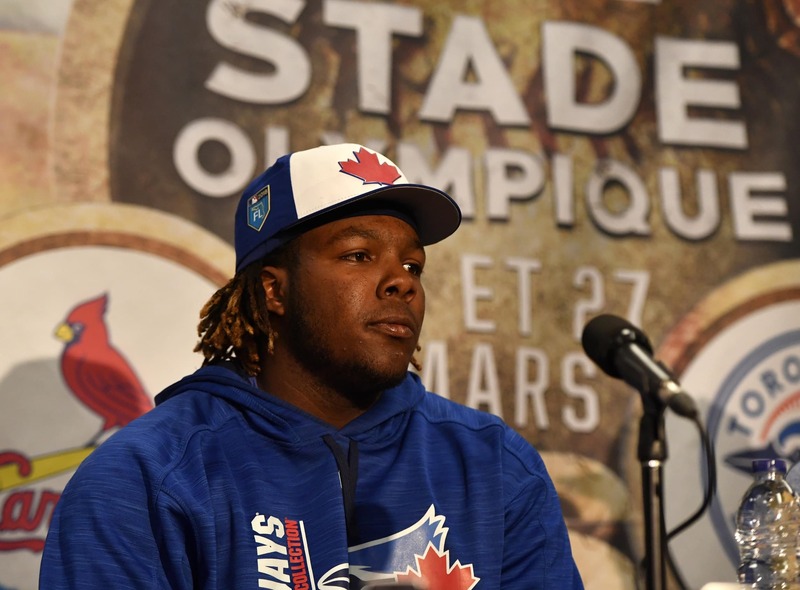 Yankees pitcher has great take on Vladimir Guerrero Jr. Recently signed by the New York Yankees, veteran starting pitcher Gio Gonzalez is tuning up his game down at Triple-A. The former All-Star has posted a 2-1 record with a 6.00 ERA in three starts for Scranton/Wilkes-Barre. He had the pleasure of going up against top Toronto Blue Jays prospect Vladimir Guerrero Jr. and their Triple-A team this past weekend. Having faced Vlad’s father, a tremendous hitter during his time, Gonzalez had a pretty awesome take about going up against the two generations of elite-level batters. The interesting thing here is that Gonzalez held the older Guerrero to a .241 average in 31 at-bats between the two. Vlad Sr. hit a robust .318 during his Hall of Fame career. As it relates to the younger Guerrero, there’s absolutely no reason why he’s still in the minors. The 20-year-old is hitting .500 in 12 at-bats for Toronto’s Triple-A team this season. He absolutely dominated lower-level competition last season, as well. It’s just a matter of time before Guerrero Jr. is up with the big league club. Unfortunately for Gonzalez, this means continued matchups should the pitcher get the call from the Bronx Bombers.